Coffee Shops of the High Plains, UNITE! Coffee brings us all together, across HPPR Land! What's better than sharing a hot cup of coffee with a good friend? Not much, right? Well, that's why HPPR wants to TREAT YOU to a cup of coffee in YOUR hometown. 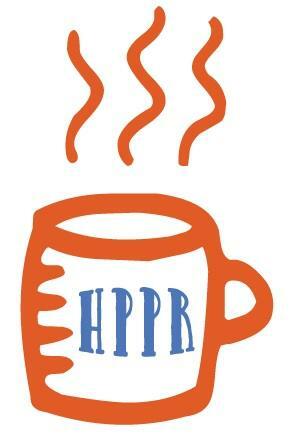 Tune in to HPPR's Spring Membership Campaign from Thursday, April 4th through the 8th for YOUR chance to win. We want to thank all of our generous "Coffee Buddies" for supporting PUBLIC RADIO across our 300+ communities. Please CONTRIBUTE TODAY to support education, music, and NPR journalism across our region. Call 1.800.678.7444 or give online now. If your favorite coffee shop is not listed, please let us know. Contact Kay at 1-800-678-7444 or send her an email.